As we get towards the end of the planting season I would like to provide a quick crop insurance update. At this time of year the crop insurance calendar turns from setting policy coverage levels, options, and production information, to planting and caring for the crop, and if needed, filing a claim if problems arise. Our most common claims issues now would be prevent plant and replants. (b) You the insured determines he/she will not be able to plant the insured crop within any applicable LPP. Once we receive your claim, an adjuster will contact you and go over your options as they pertain to your PP claim. 1. If you plant any crop, other than an approved cover crop, during the LPP of the prevented crop, then those acres would not be eligible for a prevent plant claim. 2. If you plant any crop after the LPP of the prevented crop, other than an approved cover crop, then the PP liability will be reduced to 35% of the original liability. 3. Also, when PP acreage is the first crop and is followed by a second crop that is planted after the LPP of the first crop, you must report and insure the second crop acreage that meets all of the insurability requirements, if you have an active policy in the county for that crop. Just a few reminders on replants. If you think you might be in a replant situation, remember that you must turn in a claim notice and be contacted by an adjuster before you initiate any replant. If you replant prior to notifying your crop insurance provider and prior to receiving instruction from your adjuster, we will not be able to pay that replant claim and the possibility of those acres becoming uninsured exists. One other major change for replants this year is RMA has determined that in most cases it will be considered practical to replant during the LPP. 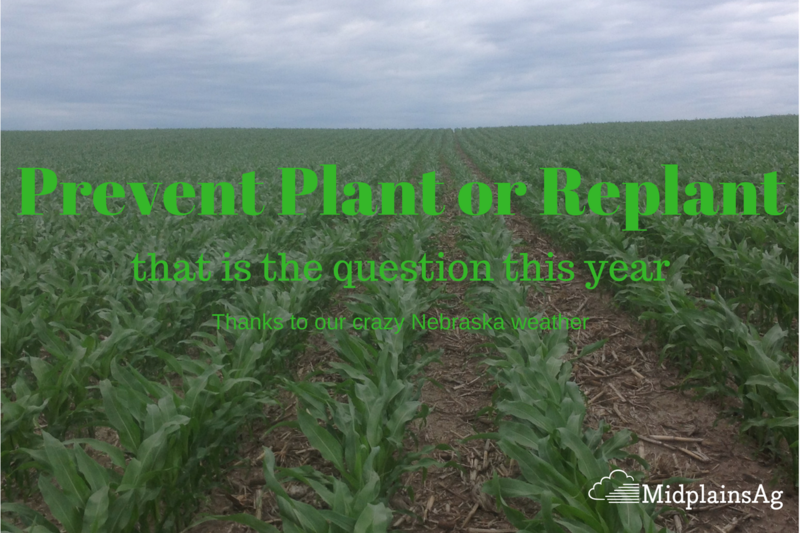 This is a significant change from prior years, so make sure you are visiting with your agent if you are in a replant situation. Now that I’ve probably confused all of us, just think of opening a claim this way, if you have an issue with your crops that would make you take steps that you would not normally do(prevented, replant, put to another use, destroy, etc. )then you are probably looking at a situation that would require a claim to be opened. So make sure to contact your agent if you have a concern, and we will all work together to get things taken care of quickly and correctly. Thanks for your time and have an enjoyable and safe summer.